The complete guide to the editor options in the email builder. You'll find our email editor on the Sequences and Broadcast page. Here's what each option on the toolbar means! Make your text bold. Like this. Make your text Italic. Like this. Add a strikethrough line to your text. Like this. If you have indented text, move it towards the margin. Move your text away from the margin. Both ordered and unordered lists are commonly indented. Select the file from your computer to insert. All image formats accepted, including GIFs. Click to insert a link to a file into your image. 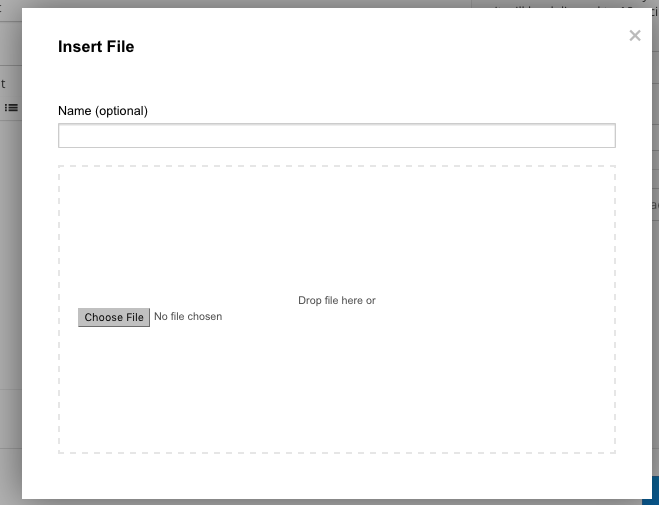 Use the file uploader to insert a PDF, video, etc. Most formats accepted. 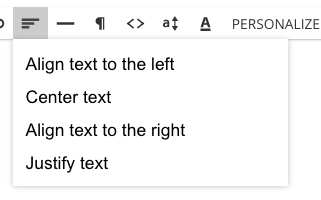 Be sure to either write a name for your file in the text field, or highlight some email text before clicking "Insert File." 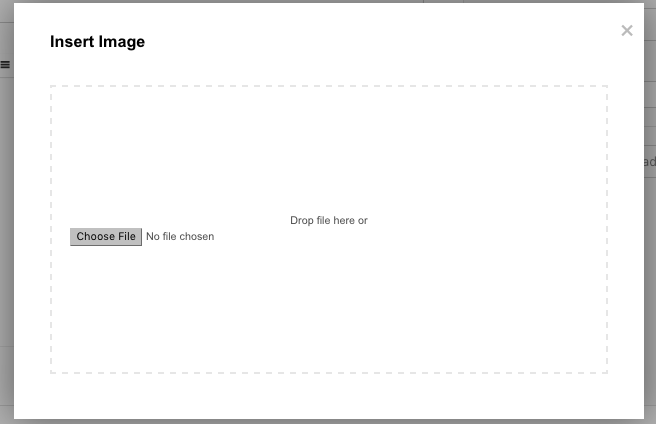 Your file will be inserted into your message like a hyperlink, not an email attachment. Click here to add a hyperlink to your email. 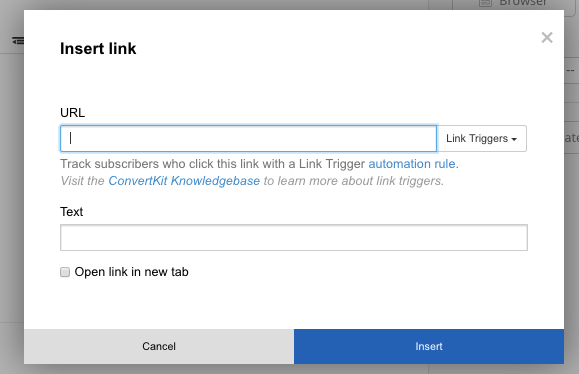 Place your link in the URL box and the hyperlink text in the text box. If you highlight text first, this text will automatically appear in the text box. If you are including a Link Trigger, be sure to select the Link Trigger from the menu on the right. Change the alignment of your email text. Choose from left, right, center and justify. Add a horizontal line to your email. 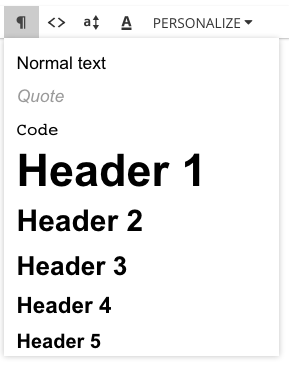 Select from the different text formatting styles in the menu. Each style has a default, but you can customize these in your email template. Please note this is not the place to add any CSS or custom styling. You can do that in your email template. Change the size of your text in your emails. Choose from preset options or set a customized size in your template. 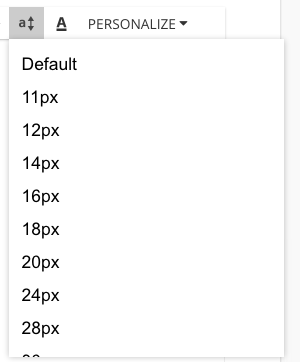 The default font size is 14px. Change the color of your text. 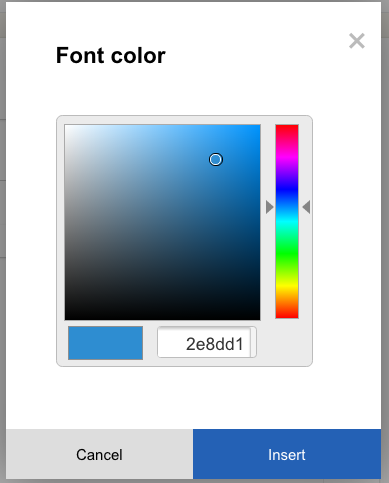 Use the color chooser or add a specific hex code. 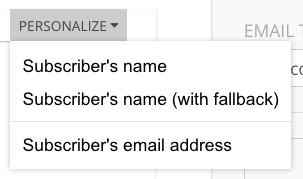 Merge tags allow you to call your Subscriber by first name, and insert their email address if necessary. We also provide a fallback option, in case your Subscribers didn't enter a first name when opting in.